Books of and about Newport, Rhode Island offered by The Drawing Room of Newport, located in Historic Newport, Rhode Island - NPT10. 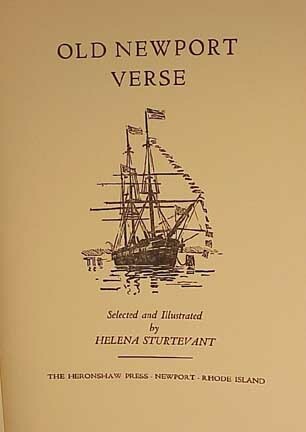 Old Newport Verse Selected and Illustrated by Helena Sturtevant. Item Number NPT 10. From our extensive collection of Newport books, prints and post cards. 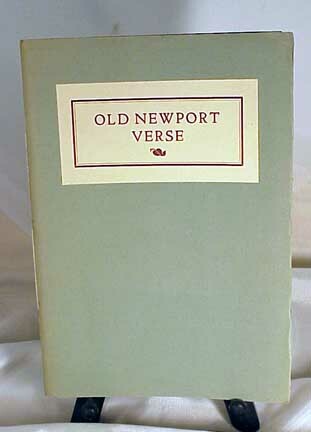 Titled "Old Newport Verse" Selected and Illustrated by Helena Sturtevant. Helena was a Newport Rhode Island Artist who taught and was a co founder at the Newport Art Association. She was born in 1871 and died in 1946. This book was No. 344 of 500. 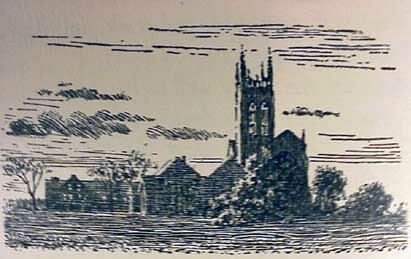 The Heronshaw Press of Newport was the printer. 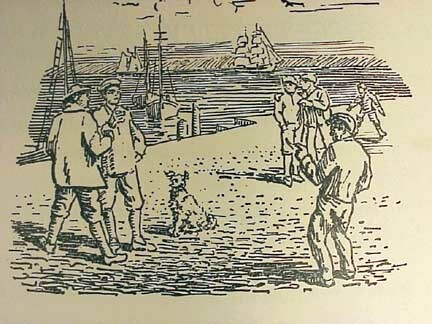 Copyrighted by Helena in 1936. 32 Pages with verses by George Berkley, Henry W. Longfellow, Bret Harte, Henry Theodore Tuckerman, Julia Ward Howe, John Jerome Rooney, S. Weir Mitchell, Charles Collinds Van Zandt, Latta Griswold, Alan Seegar. 14 Illustrations by Sturtevant. Condition: good condition with a little fading to the cover. Size: 5.5" x 7 7/8". Price: $40.00.